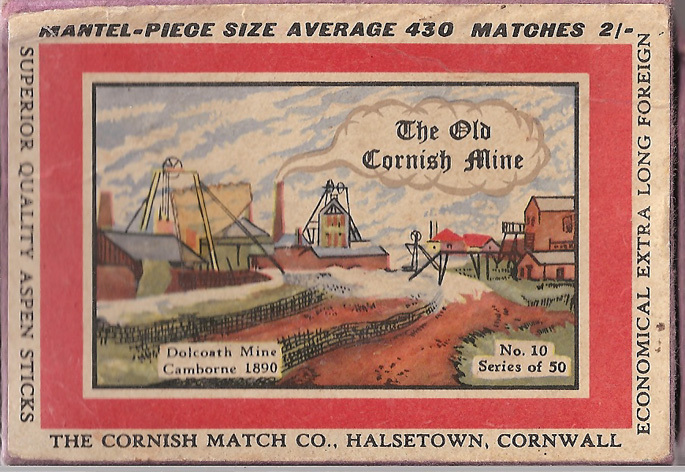 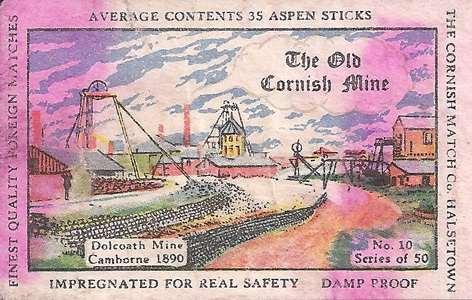 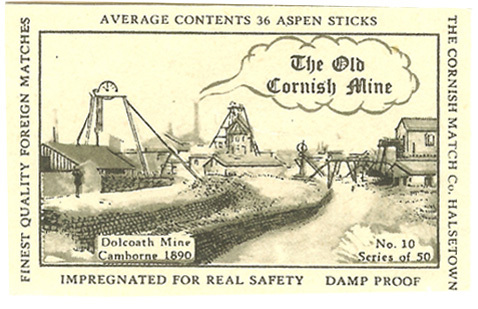 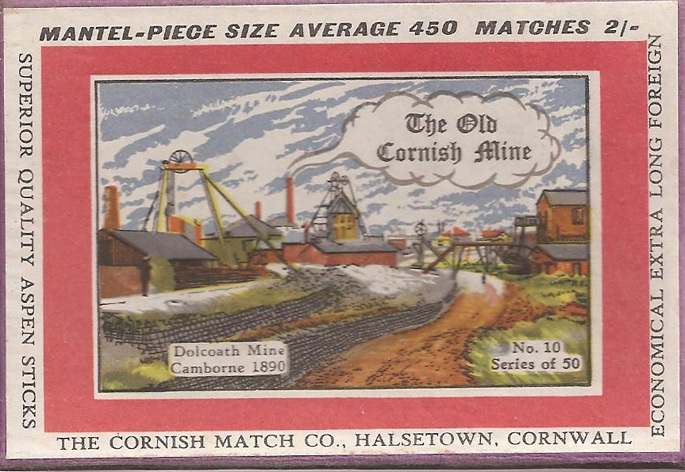 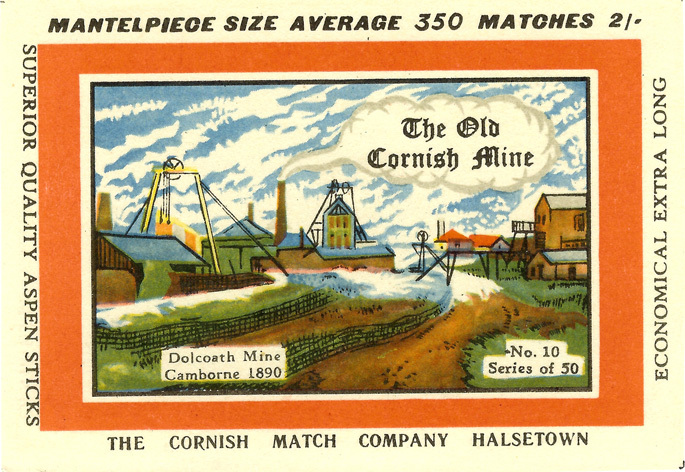 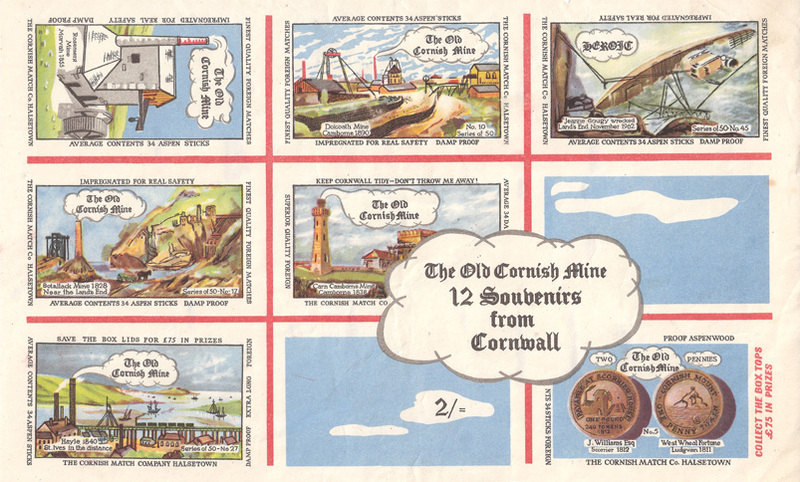 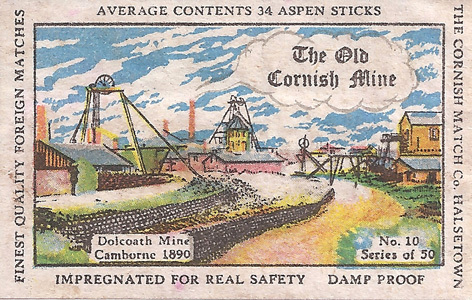 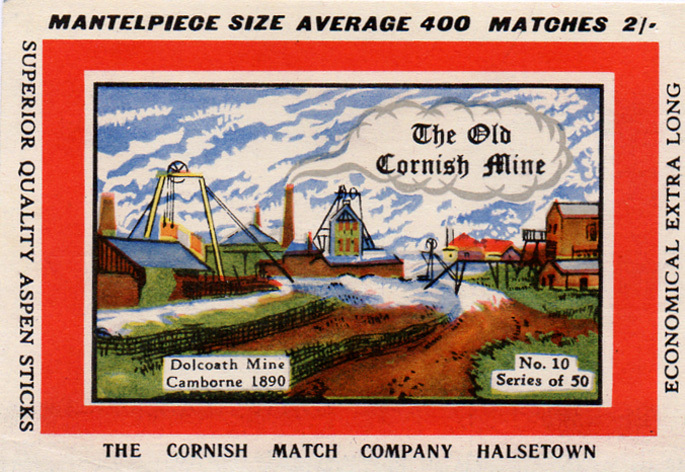 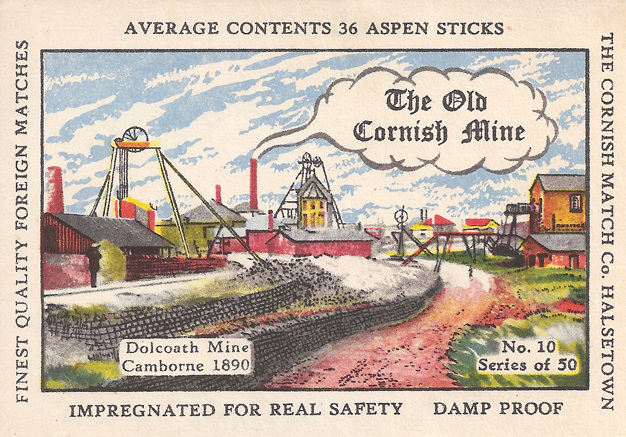 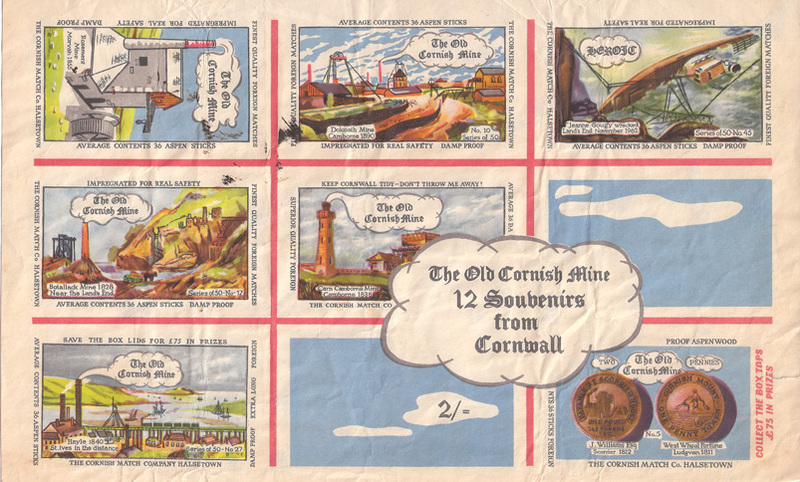 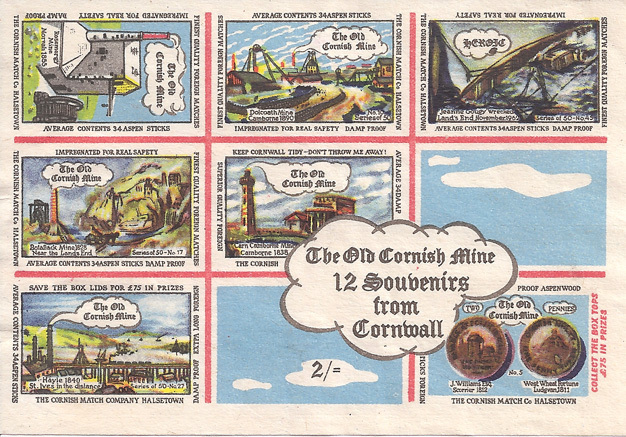 One of the oldest, deepest (3,000 feet) and most profitable of all Cornish mines. 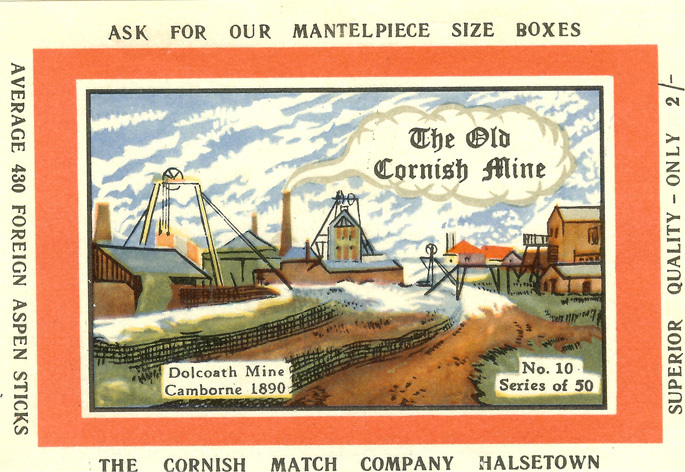 Located at Camborne and known to have been working in 1744, it ceased in 1790, re-opened in 1799 but closed in 1920. 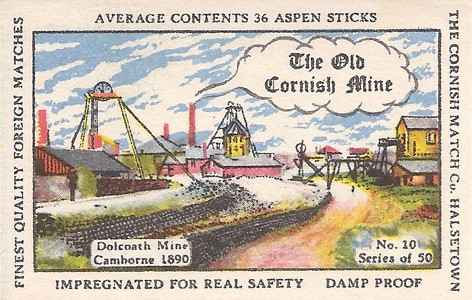 In 1929 the leases were absorbed into South Crofty. 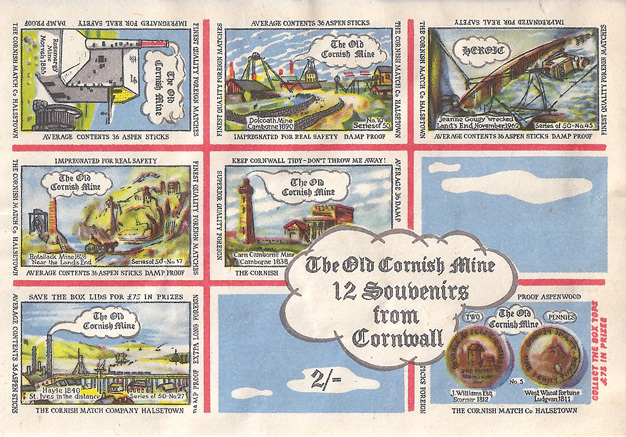 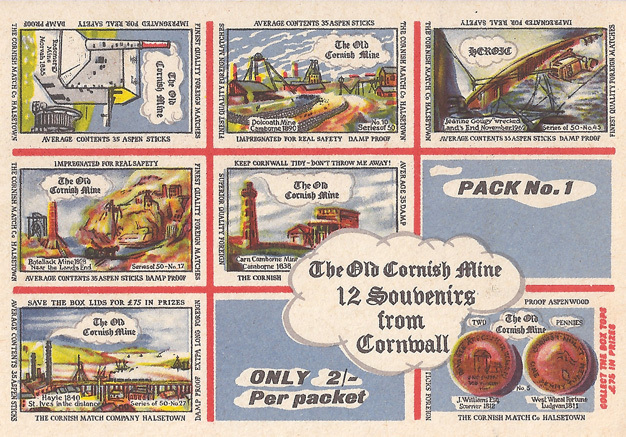 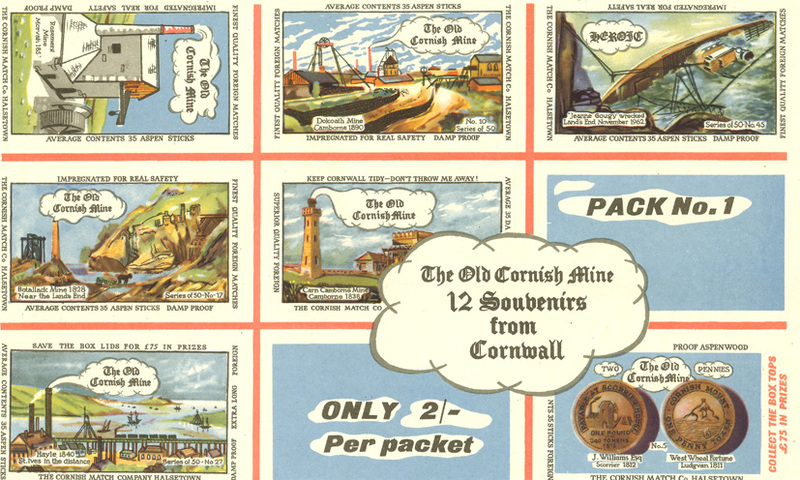 The illustration appeared on 10 individual and 6 souvenir labels and was first issued on 5th June 1963. 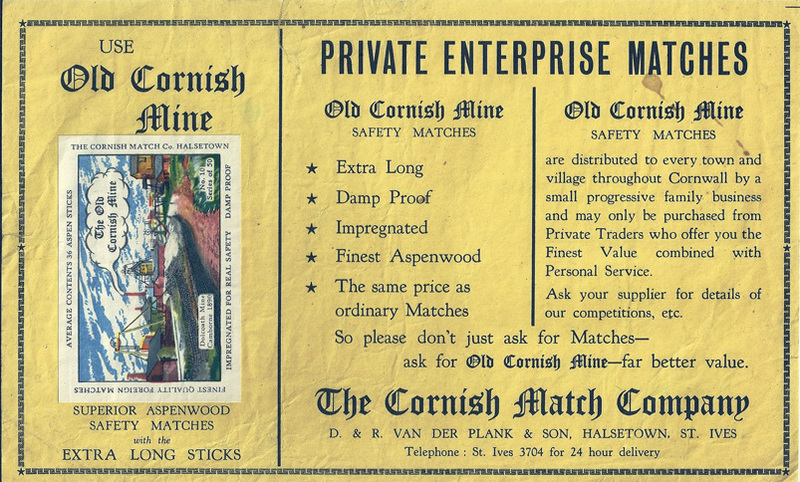 This was the second label of the series and the picture taken from an old print found whilst moving the counter in his shop by a grocer in Dolcoath Road.